Buyer Specialist, Marie Claire, knows exactly how to use her 10+ years of real estate experience and knowledge to benefit her clients. Her dedication to meeting their needs extends to not only educating and empowering them about the process, but also helping them transition into their new community. A world traveler, Marie Claire specializes in assisting people from a variety of different cultures and helping them achieve their unique goals. Whether that means helping someone local buy a home or preview properties for those clients who are out of state or out of the country, Marie Claire will do whatever it takes to accomplish the task set before her. Not only does she always keep informed about the latest market conditions, Marie Claire maintains constant contact with her clients to give them peace of mind and make the buying process hassle-free. After all, she knows how important communication is when making life-altering decisions. 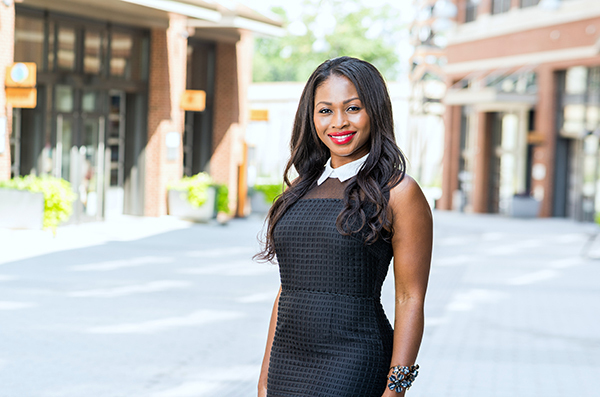 After completing a degree in Electrical Engineering from Morgan State University, Marie Claire finally had more of a chance to engage in one of her favorite activities: learning about new cultures through travel. However, no matter how far she trekked around the world- Africa, Dubai, Italy, France, the Virgin Islands and the Bahamas to name a few places- Marie Claire has always been drawn to the Washington area and its diverse population. This is where her family settled, and where Marie Claire feels she could help others the most with her global perspective.